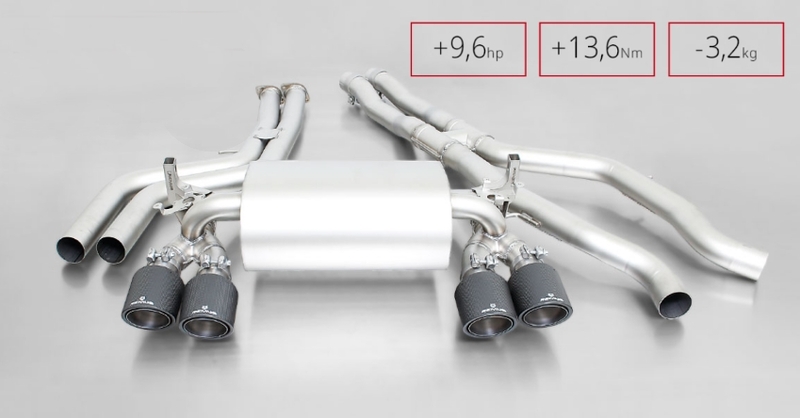 The new sport exhaust systems impress not only with the fully shot-blasted surface but also with its even more aggressive sound and in particular with its lightweight construction. This is achieved thanks to a reduction in wall thickness while keeping the same strength. The new muffler interior construction ensures a more aggressive sound. The fully shot-blasted surface made from stainless steel with aerodynamic optimized inner workings guarantees the maximum life and constant sound. The unique REMUS muffler design feeds the fully adjustable slip-on rear tips which have 5 optional designs and sizes to customize the rear aesthetic based on your specific preference. These tip designs include (4x) 102mm angled carbon fiber with titanium internals, (4x) 102mm angled chrome, (4x) 98mm non-angled black chrome with carbon insert, (4x) non-angled stainless with carbon insert and (4x) 102mm angled, straight cut, chromed. 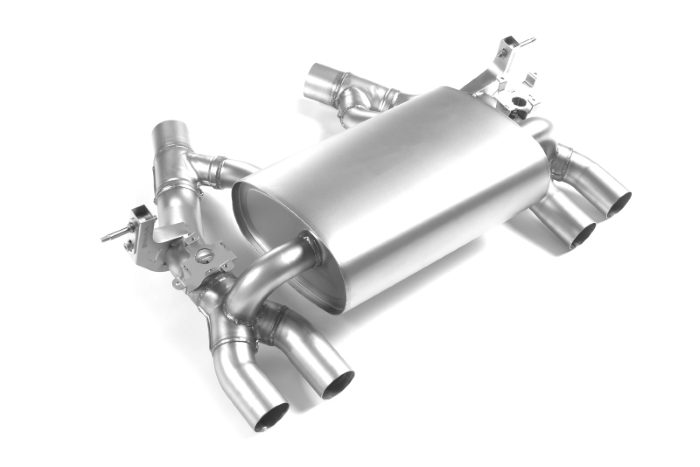 The system is available in an axle-back configuration which includes only the rear silencer & tips or as a full down-pipe back system inclusive of X-pipe and connecting pipe. 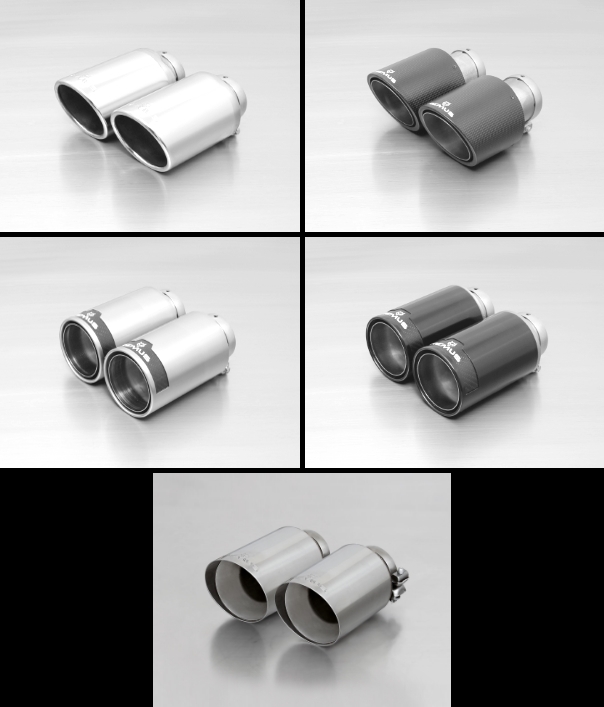 As a further option the connecting tubes are available with integrated mufflers to modulate the aggressive sound.